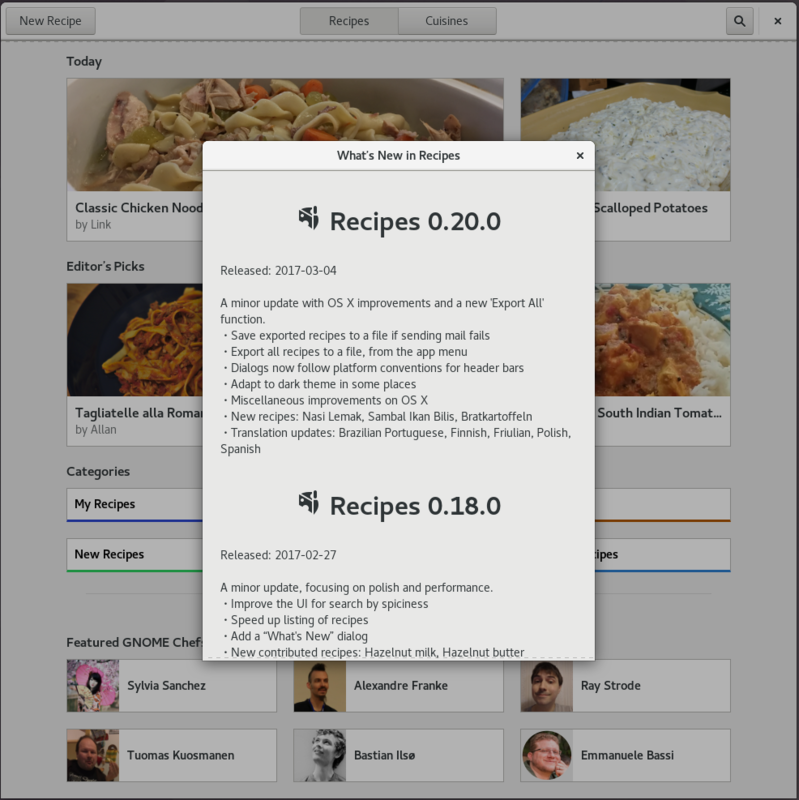 This month, we will release GNOME 3.24, and alongside, GNOME recipes will have its 1.0 release. It has been quite a journey from just an idea at GUADEC last August to the application that we have now. The timer support in cooking mode has seen quite a bit of improvement and polish. A useful by-product of this effort was a number of bug fixes for the GTK+ Quartz backend, such as working fullscreen and window functions. 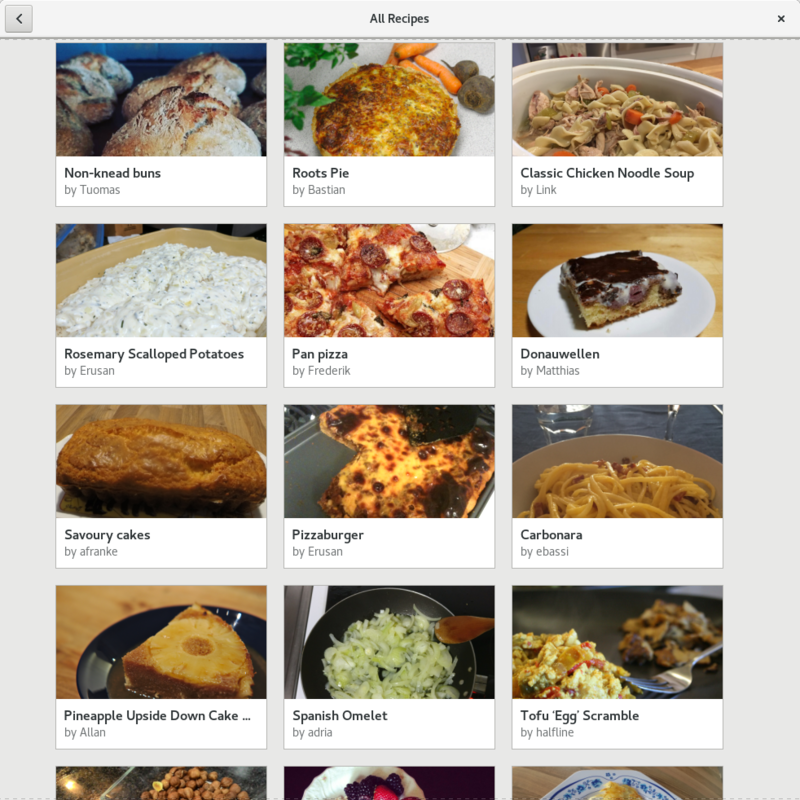 1.0 will not be the end of the road for Recipes. There’s a number of exciting features on the post-1.0 roadmap. For the next leg of the journey, we will welcome some Outreachy interns who will help us to add useful functionality, from unit conversion to shopping list export. 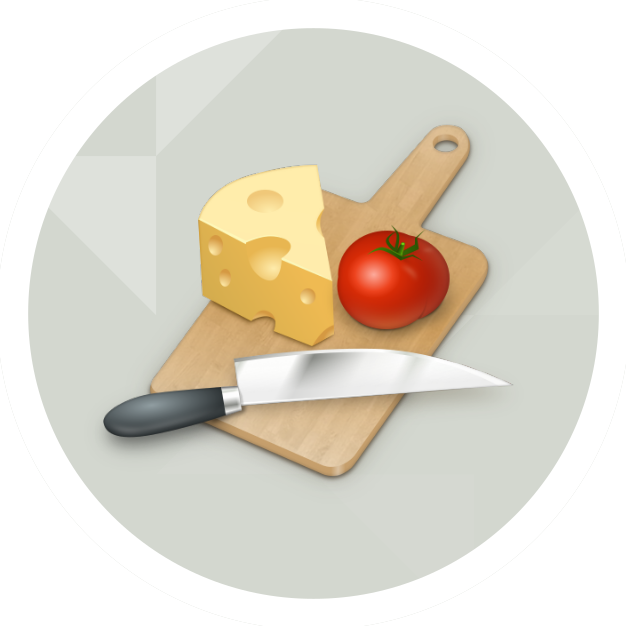 Original article title: Matthias Clasen: A journey, with recipes. 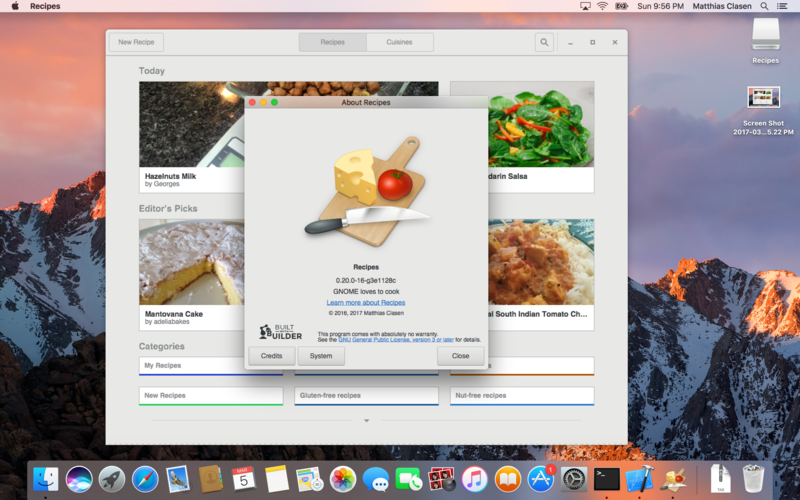 This full article can be read at: Matthias Clasen: A journey, with recipes.